Colorful cards depict robots, science-labs, space travel, inventions, clocks, gizmos, space-pets, tools, and more! To play: collect one card from each question-word (Who, What, When, Where, Why). Let these illustrated cards inspire fun STEM tales and stories. Create yummy stories with fun illustrations of fruit & veggie characters. Use -ING words to describe such actions as jumping, running, riding, hula-hooping, or blasting-off into outer space! Our fruity characters are: strawberry, blueberry, orange, pineapple, grape, and lime. The veggie friends are: carrot, broccoli, radish, beet, celery, and avocado. 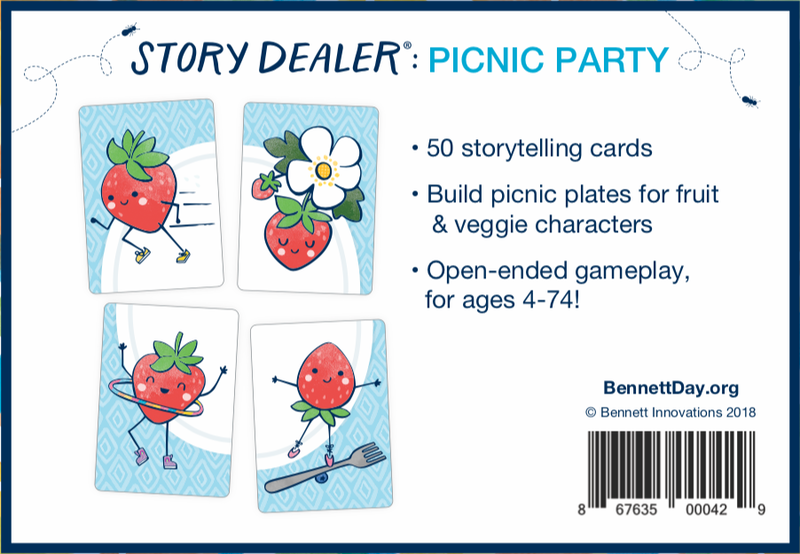 To play: collect matching foods, build picnic plates, and tell tell yummy tales. For added fun, also try the Picnic Pirate Ants, who like to steal food. Argh! 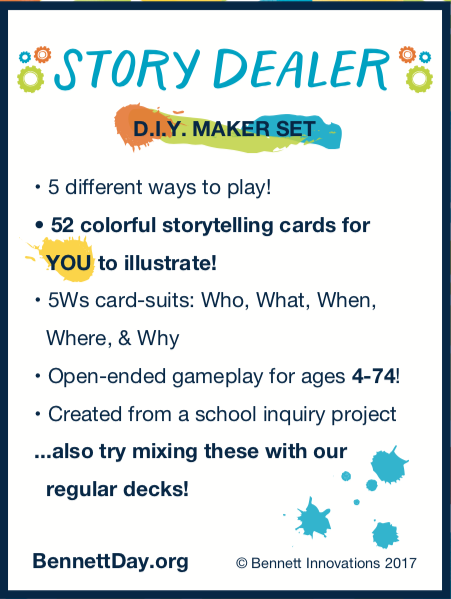 wanted to make their own illustrated version of these cards...so we created a labeled blank deck of cards to enable this! 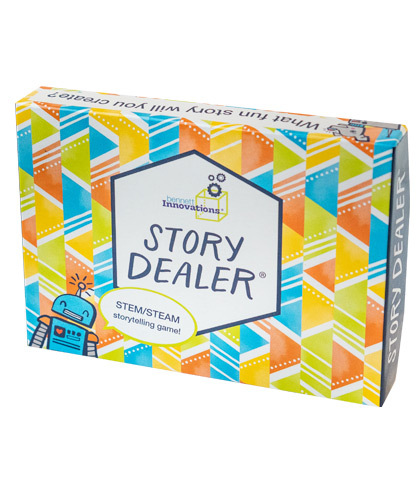 Create your own stories illustrations on these color-coded cards. Each card is labeled in a question-word: Who, What, When, Where, or Why. To play: illustrate these 50 cards, drawing desired ideas for great storytelling. 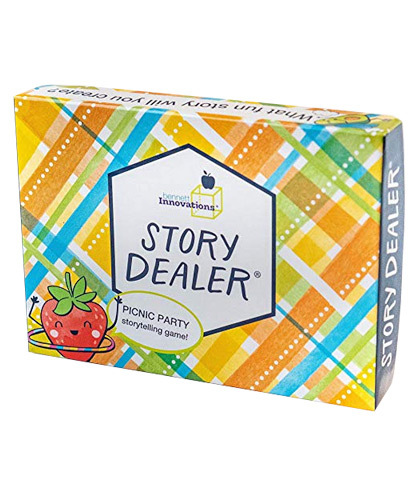 Although markers are not included in this set, we recommend permanent markers so no ink will rub off on your hands or furniture during game-play.